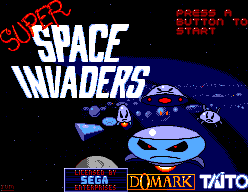 Super Space Invaders - Games - SMS Power! Space Invaders is the most famous video game ever! 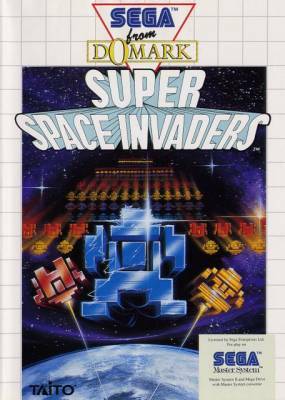 Now SUPER SPACE INVADERS has arrived with a host of amazing new features - wave after wave of weird and hostile aliens, fantastic multiway scrolling playfields, huge end of level mega monsters and secret levels for only the best to find. It'll drive you crazy, but you won't be able to leave it alone!